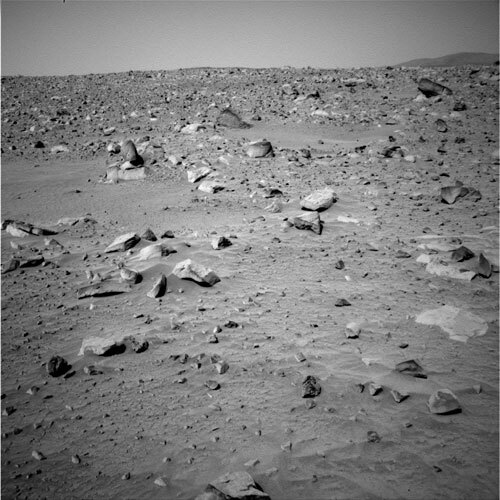 This image taken by the Mars Exploration Rover Spirit's navigation camera shows the rocky path lying due east of the rover. Boulders as large as half a meter (1.6 feet) dot the landscape here near Bonneville Crater. The east hills, over two kilometers away (1.3 miles), can be seen to the far right. Spirit will most likely drive toward the rim of Bonneville crater along a safer route to the north of this area. what is this link for?